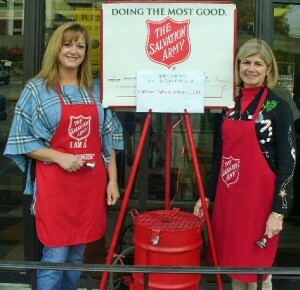 COLUMBIA, SOUTH CAROLINA – Hundreds of stockings filled with holiday cheer and two weeks’ total time ringing the bell at the organization’s famous holiday kettles – that is the cumulative impact of the Callison Tighe staff’s contributions to The Salvation Army of the Midlands over more than a decade. The firm’s involvement began 16 years ago, when legal assistant Crystal Smith rallied staff and attorneys to fill stockings with toys and treats for children the agency serves. 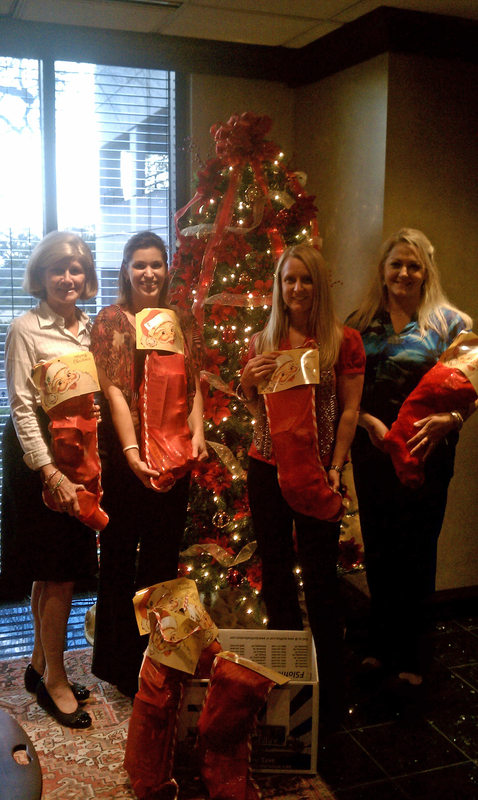 Crystal estimates that in the years since, staff and attorneys have come together to fill around 800 stockings, at an average pace of 50 a year. “It warms my heart to know that we did that, and that I work with a group of people who are so giving,” Callison Tighe staff member Kyla Floyd told WXLT. Callison Tighe took on bell-ringing duties a few years later, pledging to contribute a full eight hours a year at Salvation Army kettles throughout Columbia. That time has added up to 80 hours over the past decade, Crystal said. Callison Tighe has a long history of service with The Salvation Army. Attorney Reece Williams is a lifetime member of the organization’s advisory board, and he and his wife Nancy are veteran bell-ringers, too. 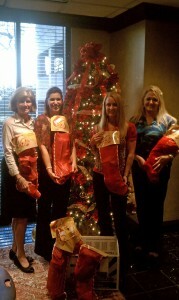 Over the years the firm has adopted families through The Salvation Army as well. The firm is involved with the community in other ways as well, from its annual $10,000 contribution to Harvest Hope in lieu of a holiday party to employees who volunteer regularly at Epworth Children’s Home, helping at fundraisers and acting as mentors. The Salvation Army of the Midlands still is looking for volunteers this holiday season for everything from bell ringing to serving meals throughout the holiday season. Visit the organization’s website to find out how you can help those who are less fortunate.